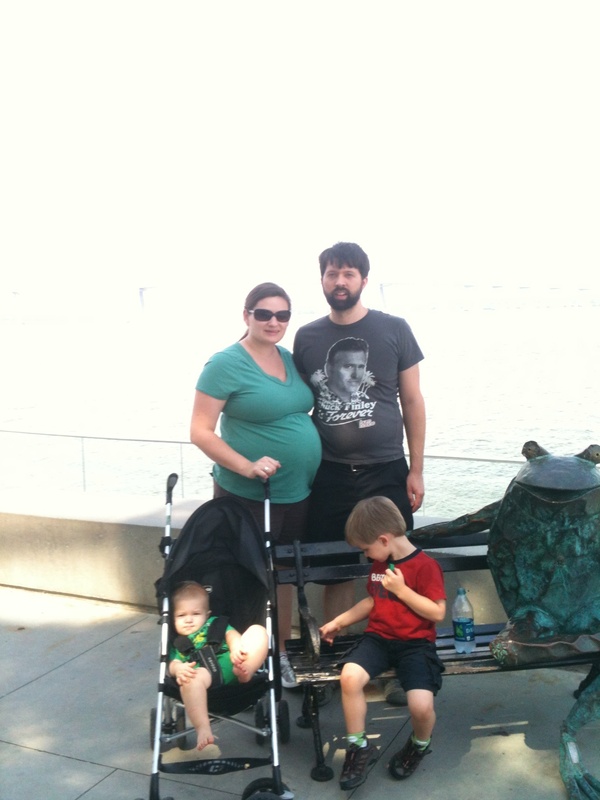 This past weekend we took a short trip to Charleston, South Carolina to visit Joe’s family. 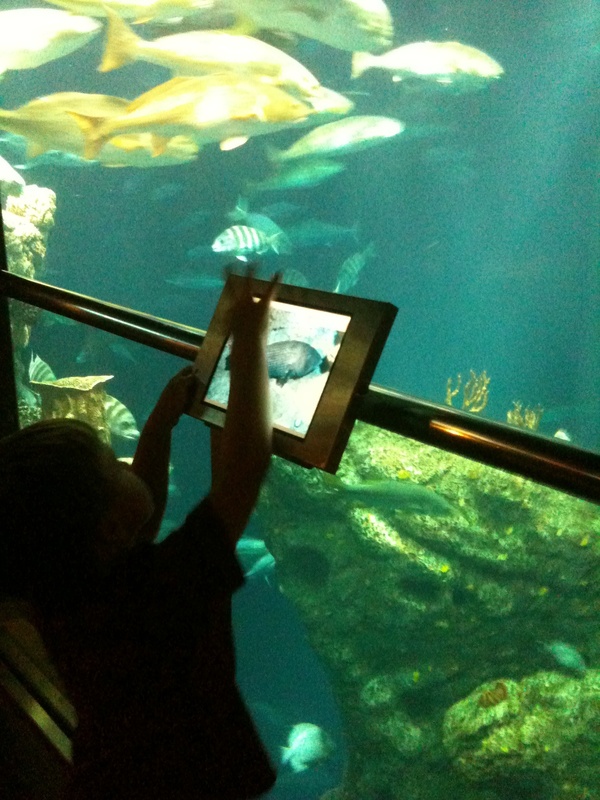 While there we visited the South Carolina Aquarium. 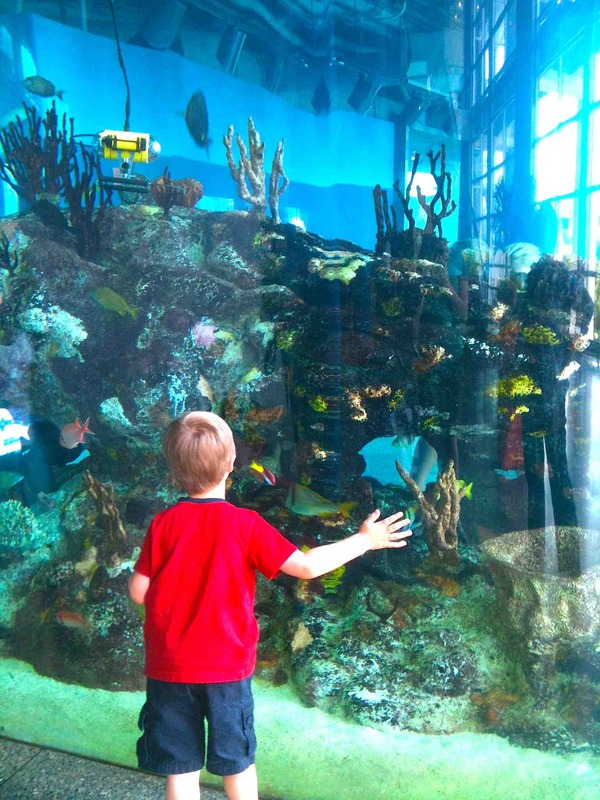 Visiting the aquarium was on my Summer Bucket List but I imagined we’d just go to the NC Aquarium which is nowhere near as large as the SC Aquarium. Aside from one meltdown we all had a great time… just look at all of these pictures. No seriously, there are a lot of pictures. 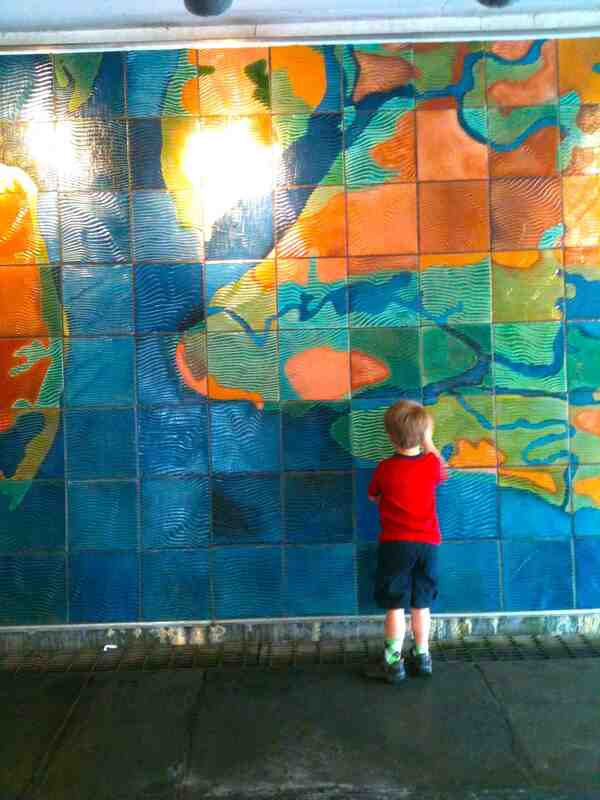 Jude thinks we should get a water wall like this for our house… I agree. 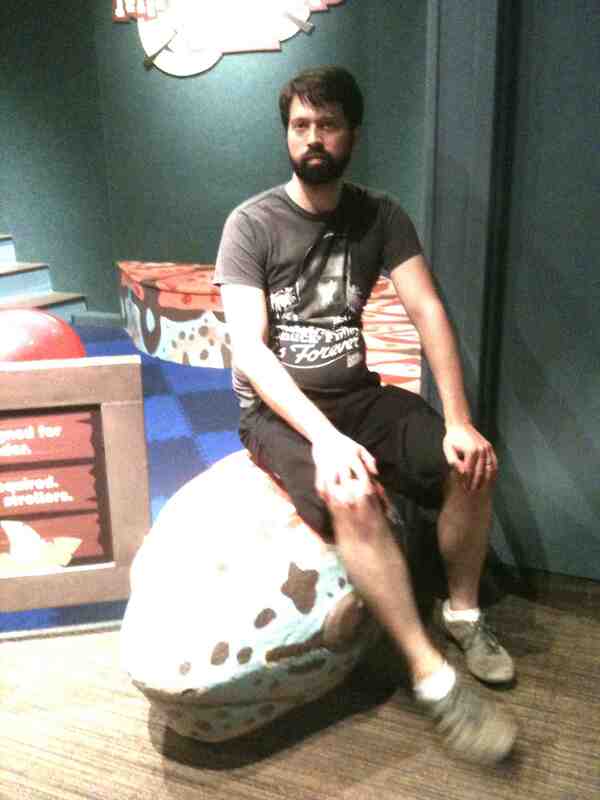 Don’t tell Joe he’s sitting on a giant snake head. Jude navigating through the fish finder to identify the fish we saw. 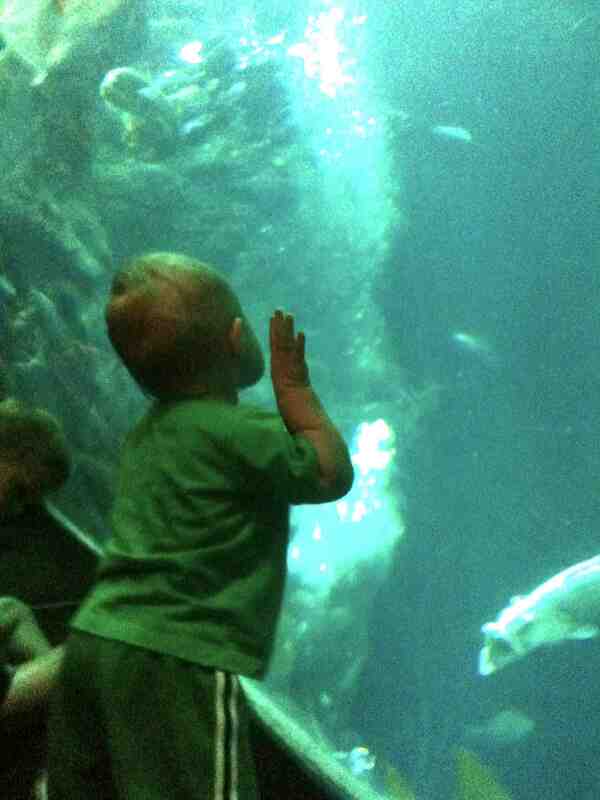 Noah loved the giant fish tank. He even made friends with one of the divers. This is the best family photo we could manage. 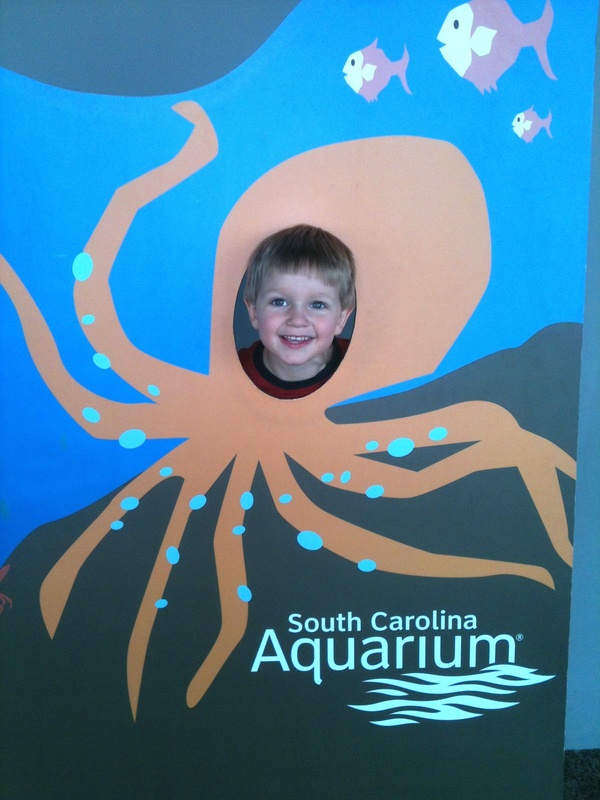 If you are in the Charleston, SC area I totally recommend checking out the SC Aquarium. 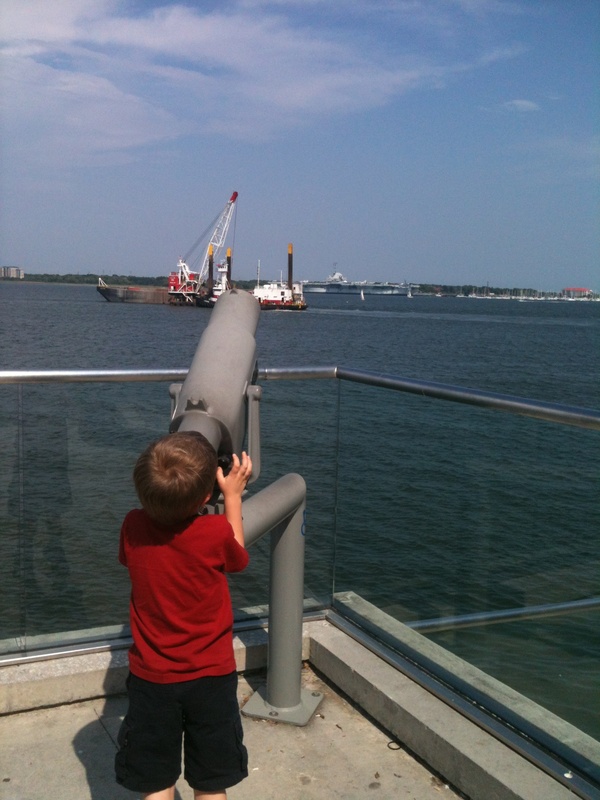 It is a little pricy but there are so many awesome things to see and do.